It was July 2016. Dr Tatha walked into a room full of AI enthusiast and gave an exhilarating talk on how computer vision and deep learning can transform how blood analysis is done. Incidentally, it was our first #chAI event and he was the first speaker. Our association with SigTuple started that day. Inspired and excited by Dr Tatha’s talk, we began to spend more time with him and his co-founders, Rohit and Apurv to understand their approach to building a world class deep learning platform called Manthana to disrupt the digital pathology space. 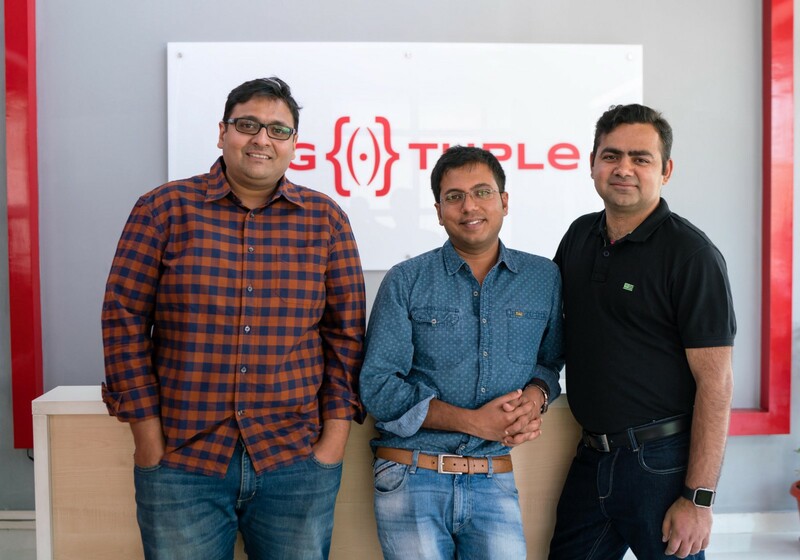 What followed was our interest to invest in the company and before we could blink an eye, SigTuple ended up raising close to 5.5M USD. We participated. At the time, our fund was just beginning to find its feet and we committed almost a million dollars, which was a large part of our corpus. In the last 1.5 years, we have seen the team at SigTuple accomplish some amazing things. Their first product Shonit, an AI based blood diagnosis product was built and launched, multiple patents were filed and the team grew from a mere 20 people to 90 people strong. They also launched their lab business where other labs can provide pathology samples for SigTuple to process. Now that they are on their way to commercialise the solution not just in India but also internationally, there was a need for more money. We have just invested one of our largest cheques ever in the recently concluded round of 19M USD. We at pi are very excited and proud to be associated with this path defining effort. Let us take a step back and look at what the current scenario is. Pathologists are in massive short supply the world over with shortages ranging from 20% (developed countries like UK, NZ, Australia) to 70% (emerging countries like China, India etc.). The workload on pathologists is shooting through the roof due to improvement in diagnostics and cancer treatments. Today most of the pathology solutions are based on chemical process. Take the example of a blood sample. The sample is converted into a slide and using reagents fed into a parts counter to get the blood cell count and identification. Once the machine finishes, the pathologist typically looks at the sample to confirm the results. With SigTuple, this process has changed in a massive way. 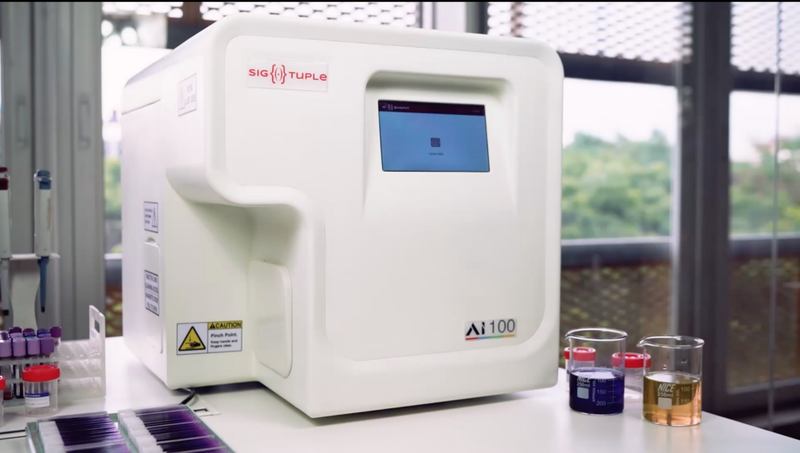 Post the slide is made, SigTuple AI 100 product converts the blood slide into a set a high resolution digital pictures of the blood slide and uploads it on the cloud, in other words, it digitally scans the blood slide. Post that, an AI engine which mimics a pathologist looks at all these pictures and is able to give a highly accurate blood analysis, that too at almost 1/10th the cost. To top it all, since the blood is already scanned for the pathologist to see what they would have seen in manual inspection, it eliminates the need for the blood to be transported to where the pathologist is, saving millions of dollars and valuable time. Clearly, the product has the potential to bring pathology to every doorstep in a very affordable and accurate way! The global pathology market is huge. Based on conservative estimates, it is close to 150+ B USD. Blood test is typically a very basic test which is done for almost every ailment. Surprisingly, the industry has hardly undergone any change over the last few decades. SigTuple can be the change in this massive industry. We are also excited to participate with distinguished co-investors — Accel Partners, IDG, Endiya, Axilor and accomplished angels like Binny Bansal. We have had extremely cordial and fruitful discussions with our co-investors on the board of Sigtuple and we can’t wait to begin working with them again. With Sigtuple’s innovation in robotics, computer vision and AI, they are clearly well positioned to bring solutions in the market which can one day redefine the whole landscape of digital pathology!